Save-the-Date Cards vs. Invitation - Which Do I Send? Homemade Invitations and Save-the-Date Cards - What's the Difference? You are planning a big event and want to make sure all of the people important to you attend. To save money, you are making your own publications, but are not sure when to send a save-the-date vs. invitation. Learn the difference as well as tips and ideas for creating them. These days, everyone seems to be busier than ever. If you are hosting an event - whether it is a fundraising dinner, a wedding, or something less formal, such as a dinner party in your home - it is important that you let your guests know about your plans well in advance. That is where save-the-date cards and invitations come in. By using your favorite desktop publishing program, you can stick to your budget while still producing elegant, professional quality invitations and more. If you are confused about making and sending save-the-date cards vs. invitations, you are not alone. Read on to learn the difference between the two. An invitation is just what it sounds like. 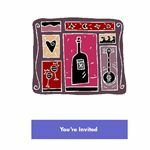 You send out invitations to request that guests attend your event. Invitations are all basically the same, whether intended for a child's birthday party, a formal reception or a gala event. 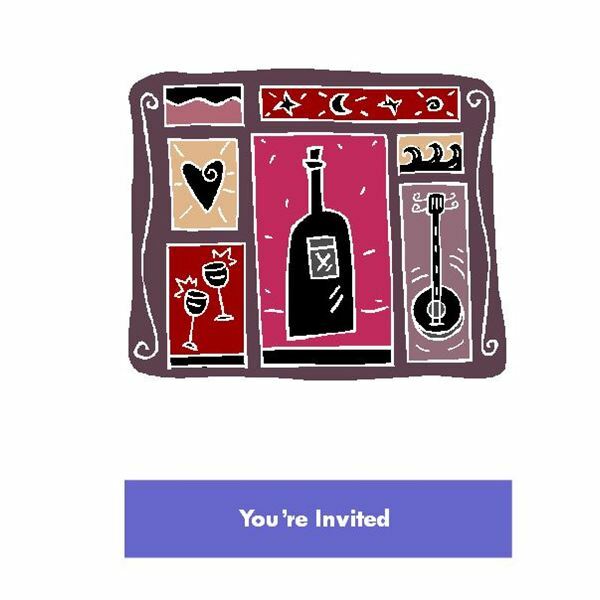 The difference between save-the-date cards vs. invitations is that save-the-date cards are sent out prior to the invitations as a sort of formal "heads up" about the forthcoming event. Save-the-date cards are especially fitting for events for which guests need ample time to plan and prepare. For example, if you are planning a destination wedding, if many of your guests live out of town or if your event takes place during the busy holiday season, a save-the-date card will be especially appreciated. Therefore, although you may be wondering whether you should make and send save-the-date cards vs. invitations, it is not an either/or answer. You simply send the save-the-date cards prior to sending invitations. When creating save-the-date cards vs. invitations, while both can be simple and direct, save-the-date cards can be even more so. For instance, you do not need to provide detailed information on the save-the-date card such as the exact location or RSVP information. 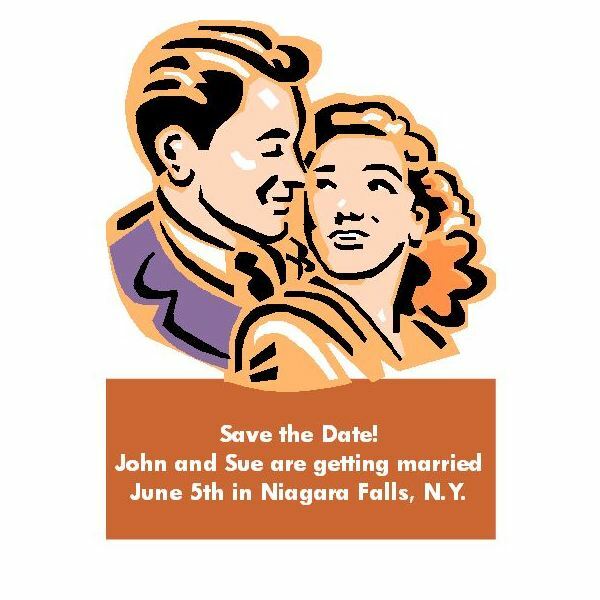 Because save-the-date cards are still a relatively new idea, expect some calls from guests. Explain that this card is an advanced notice that they will be receiving a formal invitation and that you were hoping to provide sufficient time to ensure that they will be able to attend. Save the date! Wesley and Buttercup are tying the knot on September 15th, 2010 in Faraway, England. Please save the date! Henry will be graduating on May 29th from Charter High School in Tucson, AZ. When it comes to save-the-date cards vs. invitations, you can send save-the-date cards as postcards or even on magnetic backing so that guests can hang them on the fridge as a reminder. It is a nice touch to include maps for out-of-town guests as well as alternative plans for rain, if applicable. Using the same color scheme, theme and fonts for both your save-the-date cards and invitations will tie the two together and make them seem more professional. When Should I Mail Them? When it comes to save-the-date cards vs. invitations, timing is everything. 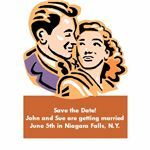 Plan to mail out save-the-date cards at least five months in advance of the date of the event, longer for destination weddings or particularly busy times. In fact, you can send them up to a year in advance for events that take a good deal of planning. Invitations should be sent out at least six weeks prior to the event, with an RSVP date that is three weeks prior to the date of the event.